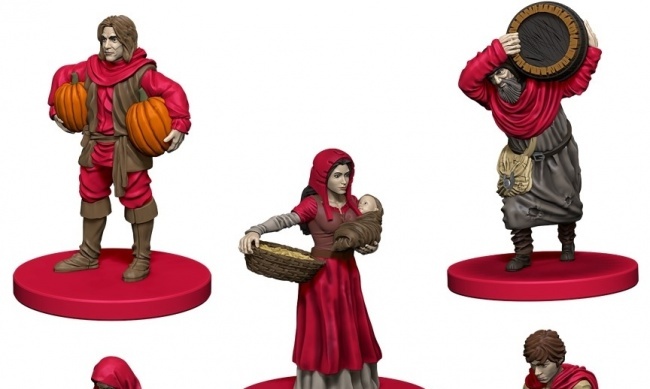 WizKids announced a deal with Lookout Games GmbH to produce a line of six Agricola Upgrade Kits in October (see “WizKids Releasing New 'Agricola' Expansions”), and now the solicitation information has been updated and pictures shared. 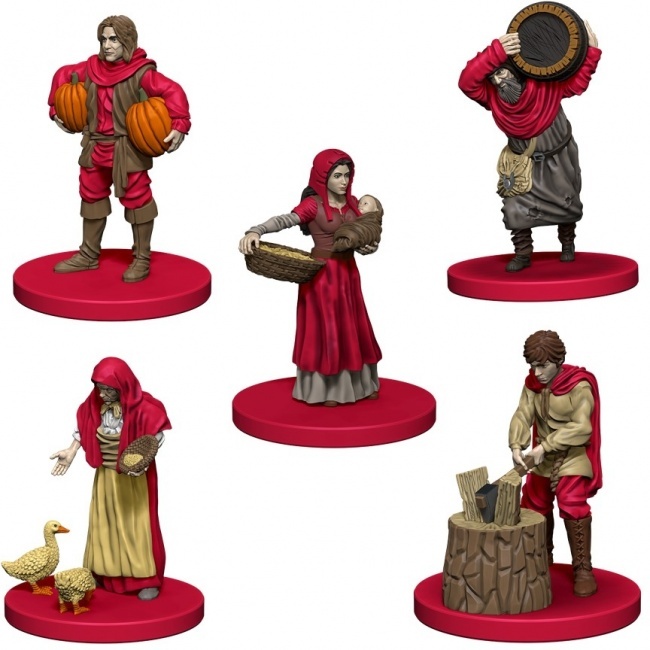 There are six color-coded Agricola Game Expansions, which all include five pre-painted miniatures and 20 all-new cards (including exclusives to this expansion) designed by game creator Uwe Rosenberg. The expansions are sold separately in red, tan, purple, green, blue and yellow colors. MSRP is $24.99. Release is planned for May. Mayfair Games distributes the base game in the U.S., and released a new edition of the award-winning worker placement game earlier this year (see “Mayfair Announces Revamped 'Agricola' Line”). Mayfair will be releasing the Agricola 5 – 6 Player Extension this month (see “'Portal of Heroes,' 'Saboteur: The Duel,' and 'Agricola Extension'”).